HeartBeast Studios L.L.C. just released their "byte sized roguelike" for those with little time on their hands. It's very much a game where it will frustrate you initially, you will die a lot but you will continue to learn and work on your tactics to keep progressing that little bit further through each run. You go through a small set of levels, with the objective simply being to defeat the enemies. It works a bit like a puzzle, with you needing to maximise what little energy you have which acts as your health and you lose one energy every turn too. You can recover energy by taking down enemies, so the sooner you do so the better. In Endhall, your position each turn is the real key to success, since all your abilities work across different ranges. Each level you complete, you can pick a new ability too. It's a cleverly designed game, one making great use of such a simple style and setting that does end up a little addictive. Honestly, I hope to see this one further developed with more content as it has such a great idea. They're already thinking about adding in a "New Game+" mode, given the feedback I've seen them get with players enjoying it and wanting more. 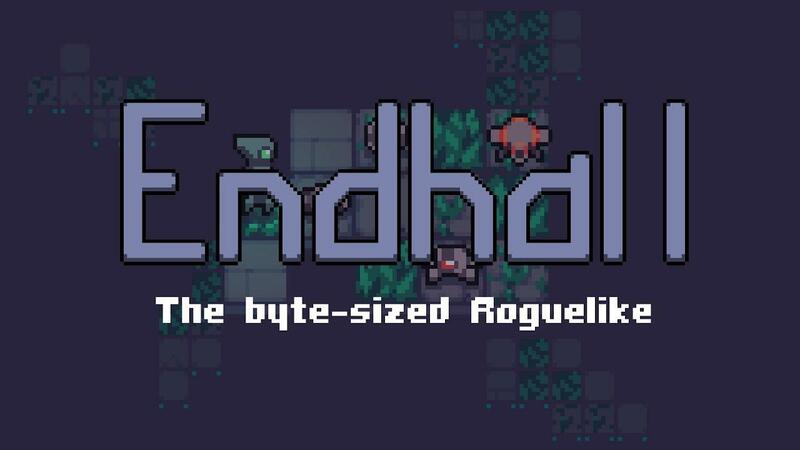 You can grab Endhall on itch.io and Steam for around £3.99/$4.99/€3.99. Fun fact: It was made with the open source Godot Engine, fun to see more made with it get released. For everyone who's not aware, Benjamin, the owner of HeartBeast Studios, is an awesome person, brave one man army and an author of many many Pixel Art, Godot and GameMaker tutorials. His YouTube channel is one of my favourites. I think this is his Steam debut but he's got several pretty complete games under his belt already, some of the early ones available on GameJolt, some on Itch.